Report generated is based on operating hours configured under restaurant Settings -> General -> Operation Hour. If report is showing less than your sales, make sure the start time is before your first transaction and the end time should be later than your last transaction. 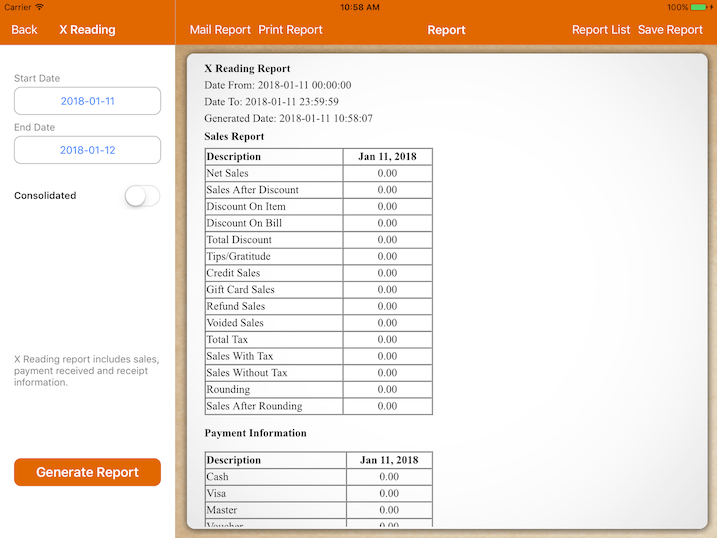 You could mail your report in PDF or excel format. 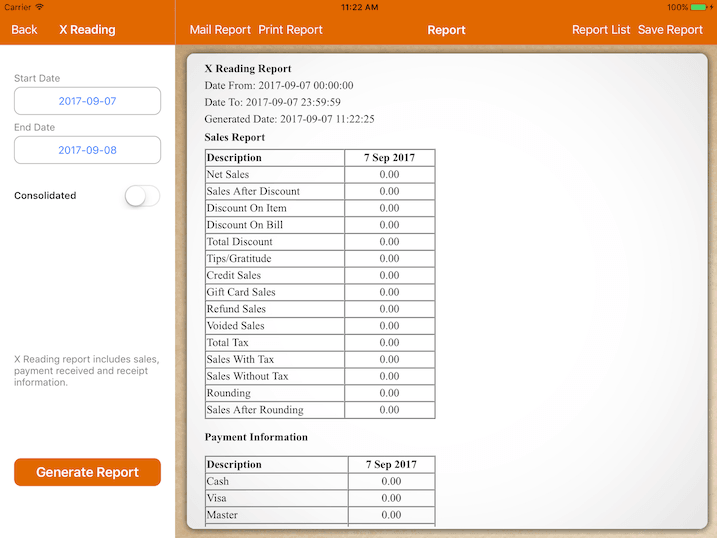 Report in excel format must be opened with Microsoft Excel. To open it using Apple Numbers, you need to use PDF convertor to change it to readable format. Report will be printed to cashier printer. Only the first day of the report will be printed if multiple days report is generated. If switched on, multiple days or months report will be consolidated into one report. 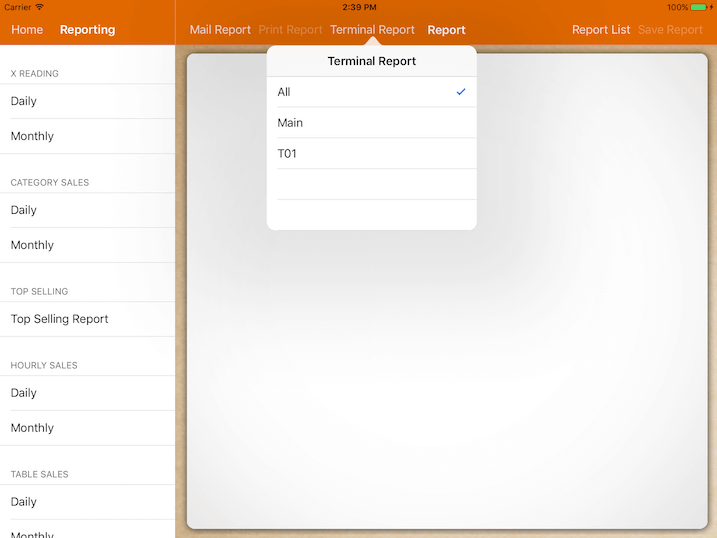 Configure your shift lets you generate report based on your shift. In order to setup multiple terminal report, please refer to Terminal guide. If there's sales coming from different terminals, there will be report for each of it. A consolidated report, a separate report for main terminal and T01 (secondary terminal) each.